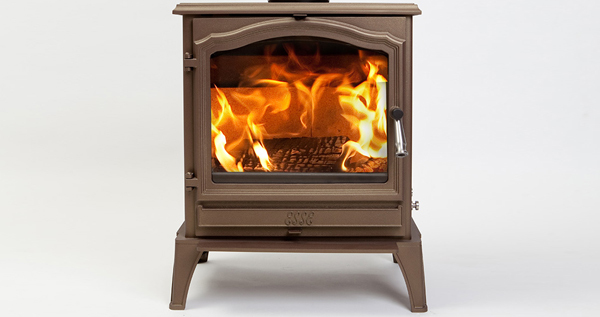 The ESSE 700 Vista is a wood stove with a powerful 10.5 kW heat output. The largest model in our popular Vista range. Fuel is loaded through a single fire door with our signature Vista arch window offering a superb view of the the fire inside. Its majestic stature makes it ideal for large fireplaces or as a free-standing unit. The 700 Vista boasts the quality engineering and simple maintenance you would expect of ESSE. A twin position riddling grate makes the ESSE 700 Vista ideal for burning both wood and mineral fuels. Primary and secondary air controls provide simple yet complete control over the 700 Vista’s impressive output. Clearances to combustibles: 400mm side, 400mm rear (250mm with additional heat shield), 450mm top, 305mm front.